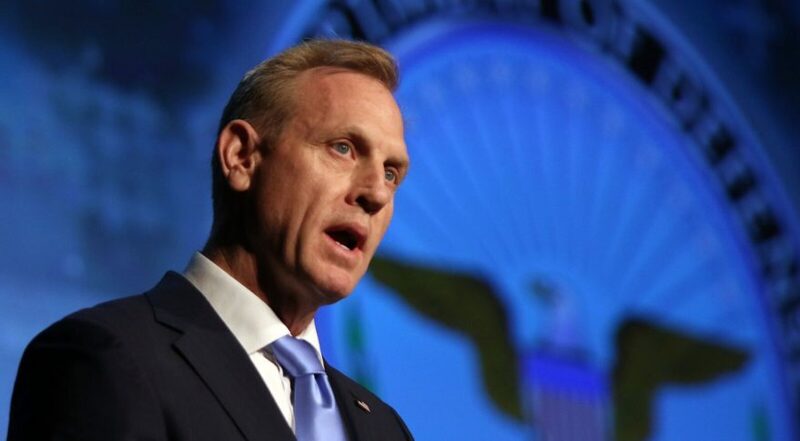 Shanahan argued that standing up a Space Force — along with a U.S. Space Command and a Space Development Agency — is what it will take to ensure the United States stays ahead of adversaries. In an April 9 keynote speech at the 35th Space Symposium, Acting Defense Secretary Patrick Shanahan laid out his most forceful case to date for the establishment of a new military branch for space. Shanahan argued that standing up a Space Force — along with a U.S. Space Command and a Space Development Agency — is what it will take to ensure the United States stays ahead of adversaries that are advancing their space capabilities. He cast the issue as a matter of both national and economic security. Most of the substance of Shanahan’s remarks were about the Space Development Agency, a new organization stood up March 12 and led by former DARPA official Fred Kennedy. Shanahan has made the new agency one of his signature issues. The work of the SDA is not just important to national security but also to the nation’s space economy, he said. “In addition to the threat, we also see thousands of satellites going into space in the next few years as the cost of launch continues to come down and space technology rapidly advances,” he said. “This will unlock new opportunities and increase the importance of space for the American economy,” Shanahan said. A centralized focus on space under a dedicated space branch is necessary, he said. The Pentagon cannot confront the contested space environment with a dozen different organizations, he said. A single senior leader in the Pentagon should be accountable for space. Shanahan’s speech was a warm-up act of sorts two days before he is scheduled to testify before the Senate Armed Services Committee. Some lawmakers remain skeptical that a new military service is needed, and expect DoD officials at the April 11 to explain how a Space Force would solve lagging innovation and disjointed management of space programs rather than add bureaucracy. Shanahan, in his speech, that the solution requires all three legs: a service, a combatant command and a space agency to develop technology faster than current organizations. U.S. Space Command will focus on space war doctrine and strategies whereas the Space Force will “build a professional development system that recruits technical talent, educates them in space from the beginning, and provides a clear promotion path,” said Shanahan.